We started the week off with a new addition to the Best Men Wedding Band – a brand new state-of-the-art PA system! We can now accommodate more musicians, singers and monitors on stage than ever before, with crystal clear sound. So whether your venue is a great hall or an intimate dining room, we’ve got you covered. This week’s ports of call were Darver Castle, Dublin City Hall, Newpark Hotel Kilkenny and, as always, Ballymagarvey! 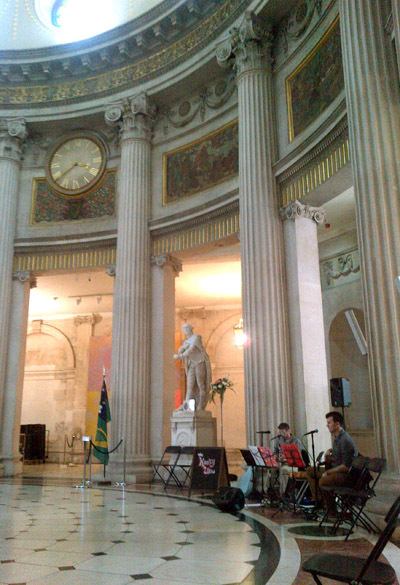 We did a Kooky Ukes show in City Hall in Dublin(pictured). A beautiful and historic building, without doubt – bullet holes are still in evidence on some statues from the Easter Rising. Now that’s thought-provoking when you’re playing Pachelbel’s Canon in D beside them. It was a wonderful ceremony, with some funky requests… the Groom and Best Man made their way to the top of the room with us playing Theme From Shaft! 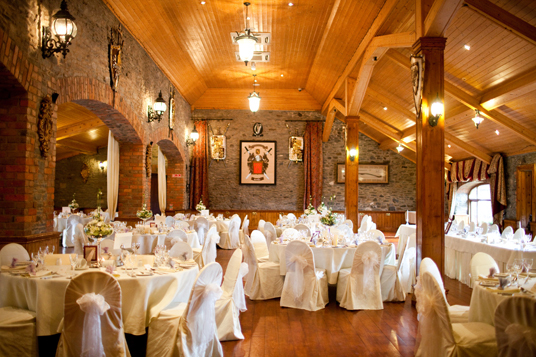 This week our go-to photographer Colm Mullen took some more photos of us at the magnificent Millhouse at Slane. So many brilliant locations there. 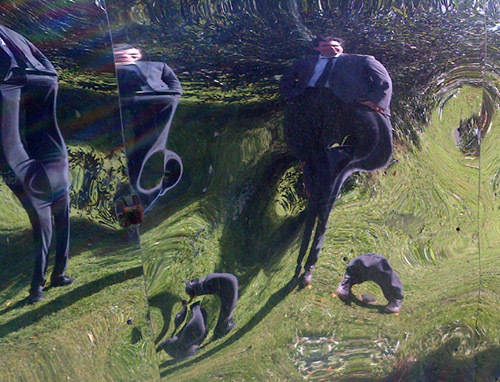 Plus, Aran spotted an unusual, warped-reflective shed that we used in a couple of shots. We all took little photos on our phones, one I took is shown below. What we saw on the screen of Colm’s camera looked amazing, so can’t wait to see the real thing.